On International Women’s Day, the Home Office and Ministry of Justice launched its consultation into the Government’s proposals for transforming the response to domestic abuse. A range of measures are proposed, including: new Domestic Abuse Protection Orders which can impose a range of conditions on abusers; the creation of a Domestic Abuse Commissioner to hold the Government to account; and the enshrining in law of the cross-government definition of domestic abuse. It is laudable that the Government is taking action to tackle domestic abuse. However, this is taking place in a context of increasing pressures felt across society and by the services vulnerable people turn to for support; poverty and social deprivation often underlie problems, and the crisis in funding for a range of frontline services means that the opportunities to tackle these issues are inhibited. The relationship between domestic abuse and substance misuse is a complex one. While drug and alcohol misuse cannot be said to cause abusive behaviour, they often go alongside it. Home Office statistics show that 48% of convicted domestic abuse perpetrators had a history of alcohol dependence, and 73% had consumed alcohol prior to the event. Research has indicated that there are perpetrators of domestic abuse in substance misuse treatment services. Domestic abuse is not restricted to intimate partner relationships; research by Adfam and AVA reveals that parents can also experience abusive behaviour from their substance-using children (under or over 18). The other side of the coin is that those who have experienced domestic abuse may misuse substances to cope with the trauma, or the perpetrator may use their dependency to exert control over them. Research by Agenda indicates that women who have experienced extensive physical and sexual violence are more likely than those who haven’t to have an alcohol problem or be dependent on drugs, as well as have a range of other complex needs. It is therefore imperative that substance misuse services recognise that there are likely to be both perpetrators and victims accessing, or in need of, their support, and services should take action accordingly. While domestic abuse can be perpetrated by and towards both men and women, the majority of cases are perpetrated by men towards women; we need to recognise that this is largely a gendered issue, and so gendered solutions will have a role to play. One of the Government’s key proposals is the introduction of a new Domestic Abuse Protection Order. This could involve courts being able to impose positive requirements on perpetrators, including attendance in drug or alcohol treatment. On the face of it, this is a good move to engage people in treatment and help them to address their problems holistically; we know that 40% of opiate users and over 80% of those with an alcohol problem are currently outside treatment. However, current drug rehabilitation requirements (DRRs) and alcohol treatment requirements (ATRs) are failing to work as planned due to the fragmentation of the system, and so several questions remain as to how these new positive requirements would work; who will commission the services needed? Who will pay for them? Who will monitor the requirements to make sure they happen? When dealing with any set of complex issues, joint-working between different agencies is vital. So it is with domestic abuse and substance misuse. Victims should be helped to address any problems which stem from the abuse, whether that is substance misuse, poor mental health, or a lack of secure housing, as well as receiving support from domestic abuse agencies. Likewise, perpetrators should be supported onto perpetrator programmes, as well as into services which address their substance misuse, poor mental health, or other issues. Joint-working is vital to ensure that people do not fall through the gaps, and to ensure that people’s problems are dealt with holistically. Services need to be commissioned with this in mind, and incentives put in place to encourage this joint-working. Domestic abuse is already included as an indicator in the Public Health Outcomes Framework, and this could be incorporated into the jointly-owned outcome measures proposed in last year’s Drug Strategy. Alongside joint-working, there is also a need for specialist services to address complex needs in as accessible a way as possible. Women-only services will play a role here; substance misuse services are predominantly male, reflecting patterns of substance misuse, and so can be an intimidating or even an unsafe place for women with experience of abuse perpetrated by men. Services need to be trauma-informed, so that issues underlying the substance misuse can be addressed, without re-traumatising vulnerable people. However, specialist services are increasingly under threat due to budget constraints. Investment in substance misuse treatment has been cut by 25% since 2013, and the Recovery Partnership’s State of the Sector 2017 report highlights the impacts this is having, with a move towards commissioning generic substance misuse services, rather than specialist services. There is also a need to ensure that women with substance misuse problems are not excluded from refuges, and are given the tailored support they need. More work needs to be done in the area of domestic abuse and substance misuse, and it is encouraging that the Government has signalled that it is interested and listening to ideas for tackling domestic abuse and connected issues. 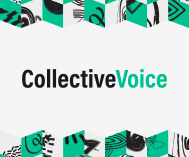 Collective Voice will be responding to the relevant parts of the consultation, and we urge other organisations to do the same, before the deadline on 31 May.